Probably everyone has at home a bunch of little things for different purposes that do not have their own specific place. Well, let’s face it, it really can make a mess. For such things, and the bigger and smaller, I use baskets. Crocheted baskets are not just a way to bring some things in order, but they are also a nice detail. 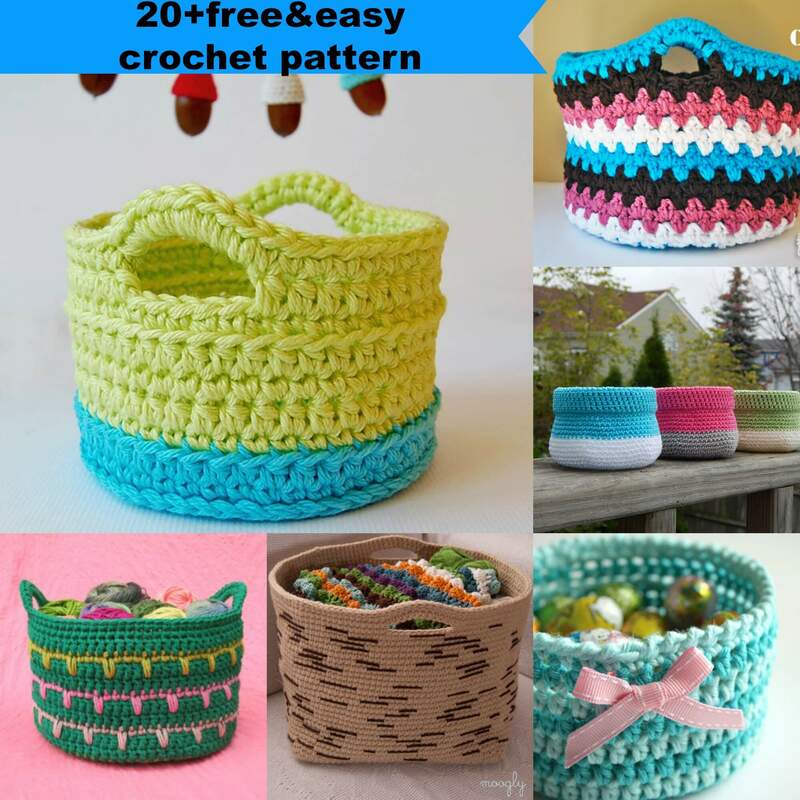 If you are wondering how to make crocheted baskets, in the following text you can find amazing and completely free patterns. 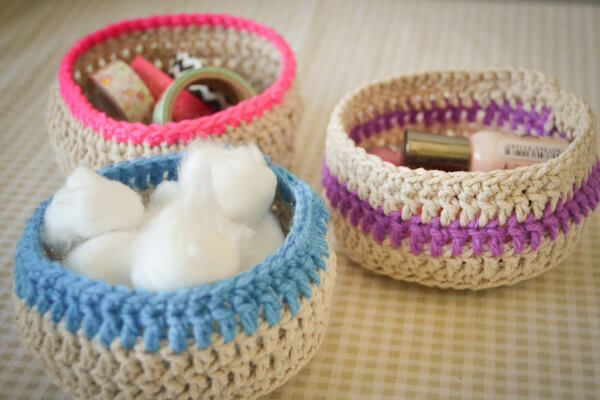 These little crocheted baskets are ideal for storing little things. 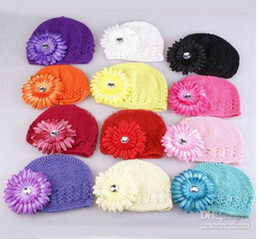 In them, you can keep, jewelry, hairpins, sewing thread, buttons… Make them in different colors, for different things. Do you need a basket for the big things? 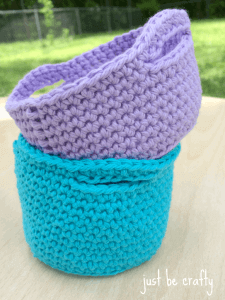 Check out free crochet pattern for these simple design baskets. Choose colors that fit in your home. 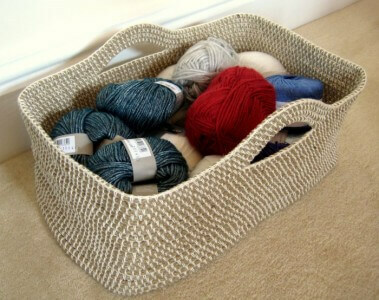 This crochet basket with trellis is a real little masterpiece. It’s almost unreal that something like this can be crocheted. 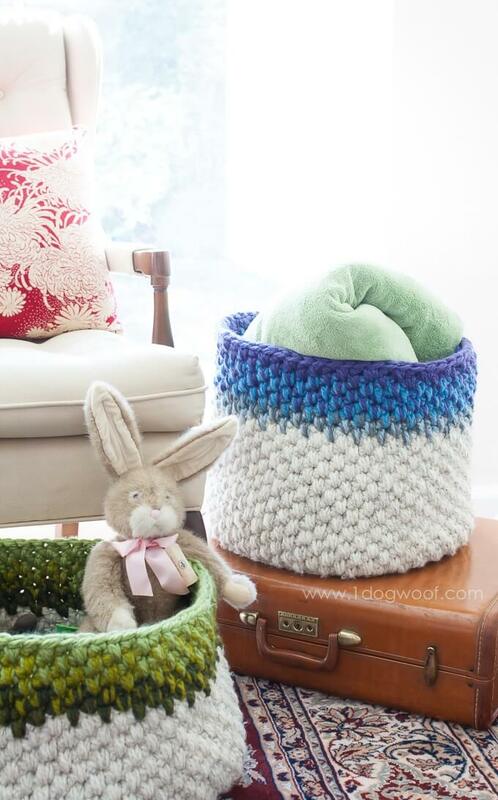 Trellis and crocheted handles give a special dimension to this basket. Sometimes it is difficult to find the right toy in the pile. 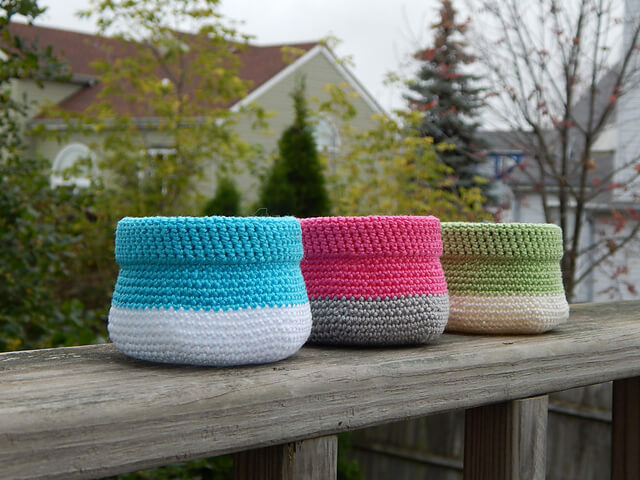 Crochet these baskets for toys and you can solve this problem. In one you can hold blocks, in the other dolls and their clothes, in the third cars … Of course, you can use them for other things. Their simple design fits into any space. 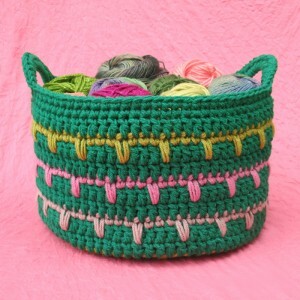 This is another model for cute, two-tone mini crocheted baskets. Besides being useful to you,they can be a nice gift for someone. 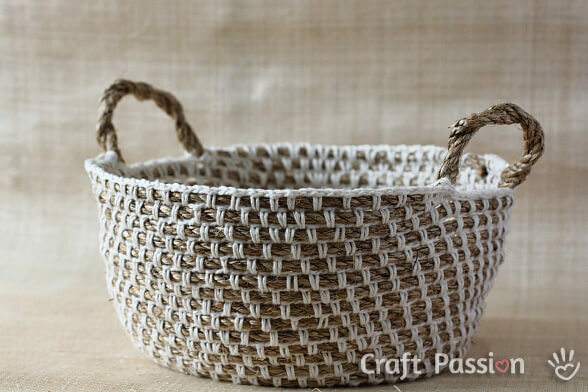 If you like rustic design, you can make a basket in combination with the rope. 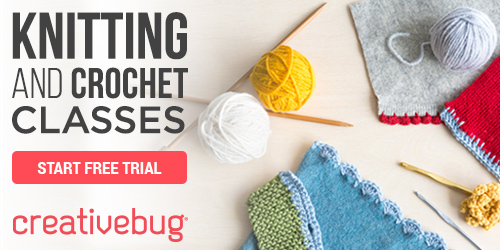 This is one very interesting and free pattern. Sometimes it just takes a little creativity to create something beautiful from something simple. 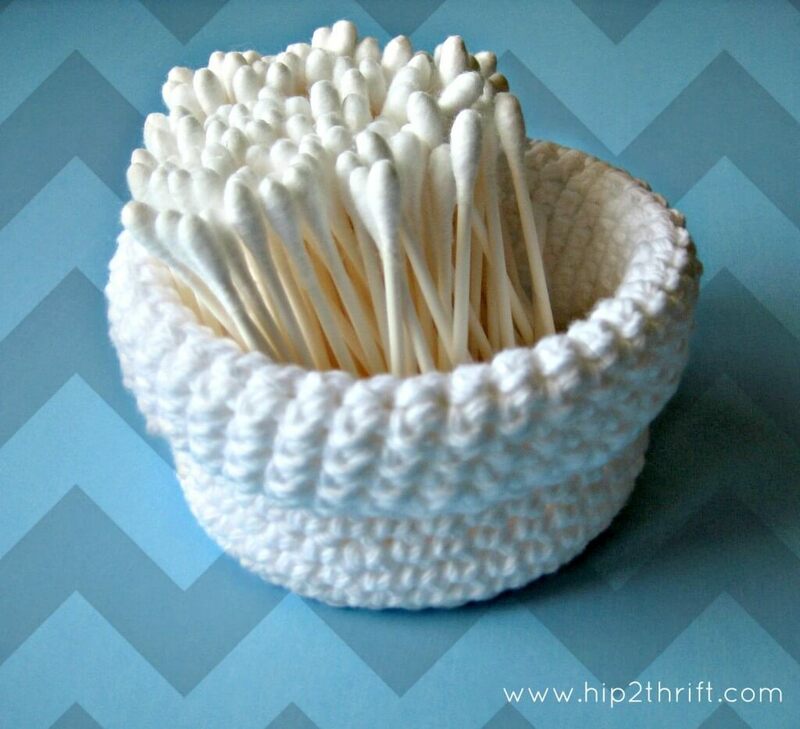 Here’s how to create a beautiful honeycomb pop basket. Maybe you’re not a fan of colors and a striking design? 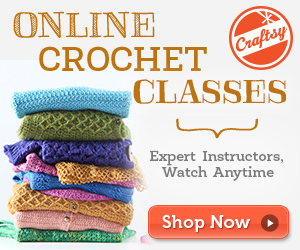 Are you are a beginner in crocheting? 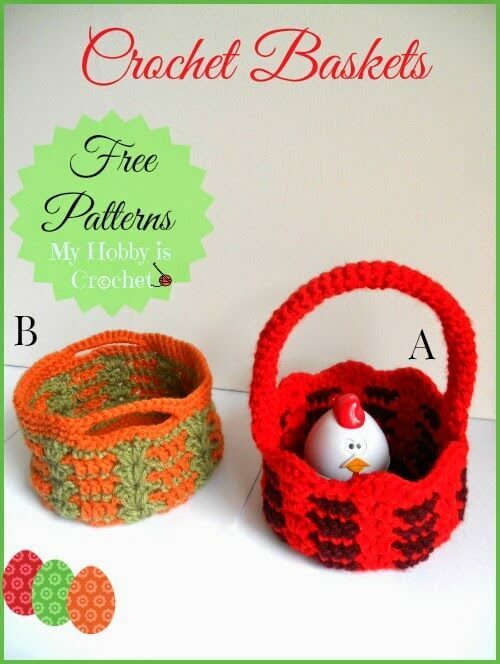 I thik this is a great free pattern for simple basket. 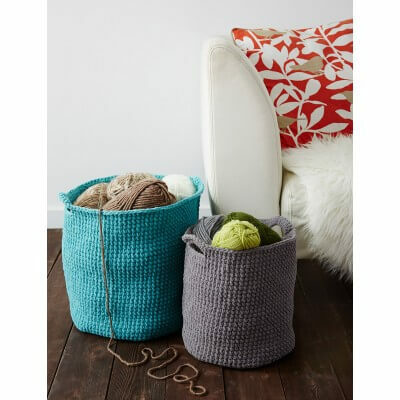 Baskets with handles are the most practical. 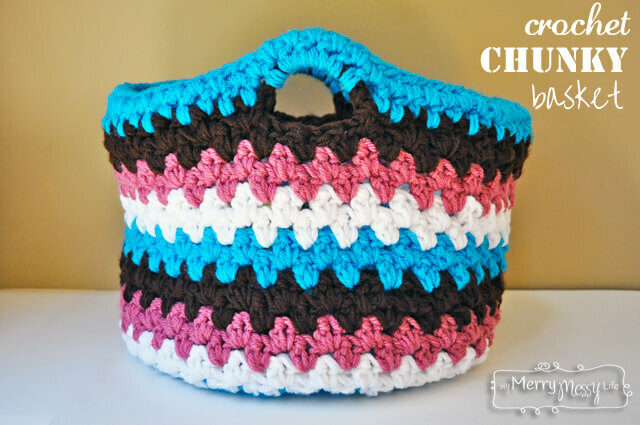 If you love colorful experience, here is a free pattern for such a crocheted basket. This is another amazing example of beautiful embedded colors in a simple design. 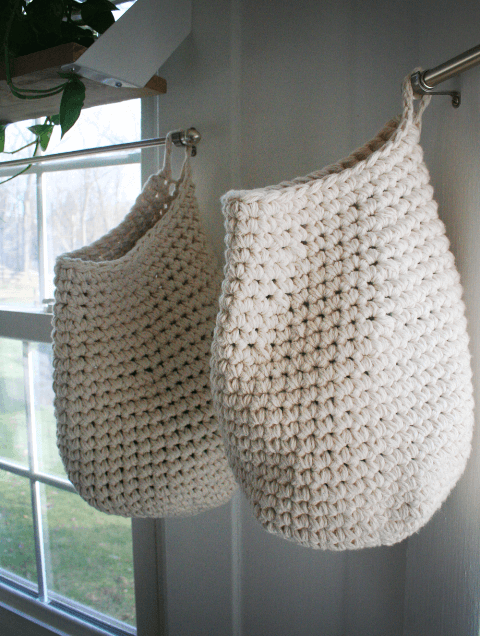 Take a look at the link to find a free pattern. 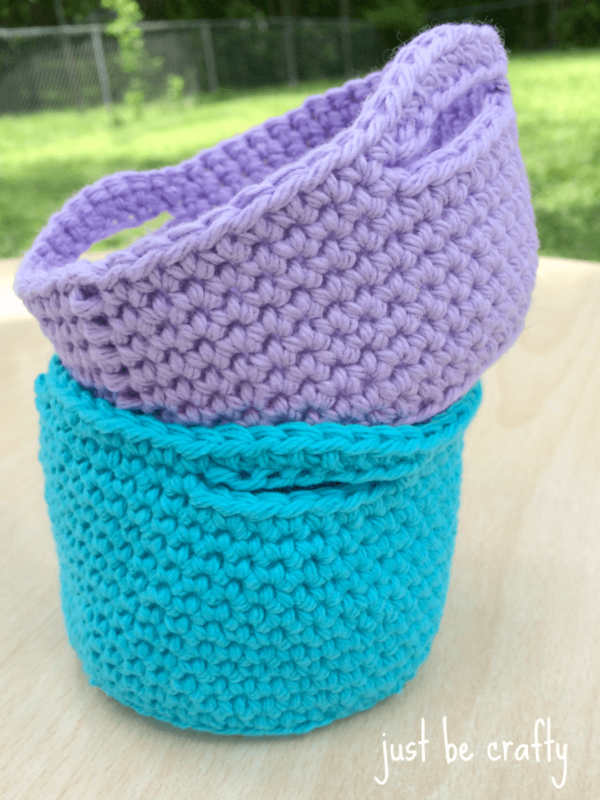 If you need a free pattern for a deep and simple crocheted basket with handles, this is the right choice for you. 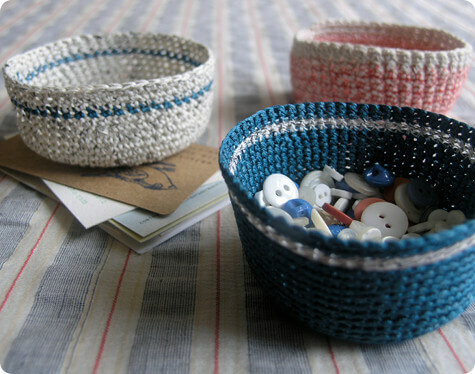 A simple basket can be an interesting detail if you select an impressive color. See this purple and turquoise. So simple and so beautiful! These two-color combinations really look like bowls or vases. I suppose that they would not be a good choice for real flowers which should be watering, but they can give life to a pot with some artificial flowers. 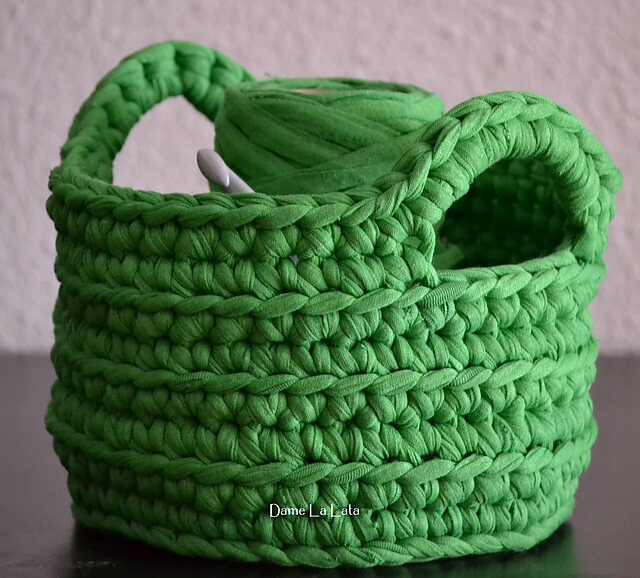 Make a basket whose design has a touch with nature. What do you think about this that reminds on the birch bark? It is so simple and nice. 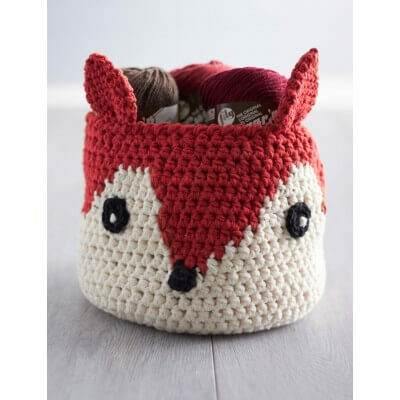 Want to make a basket that your children will love? To attract their attention, add eyes and ears and make a fox. 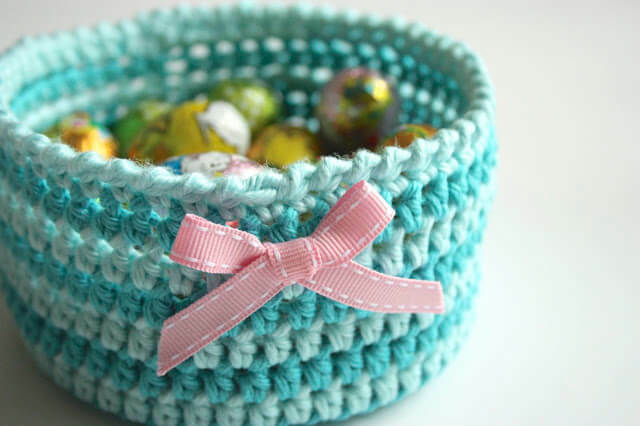 At this link, you will find a free pattern for this cute crocheted basket. It is almost impossible to imagine an Easter tradition without a basket full of colorful eggs. Why not crochet one? These are two beautiful examples. 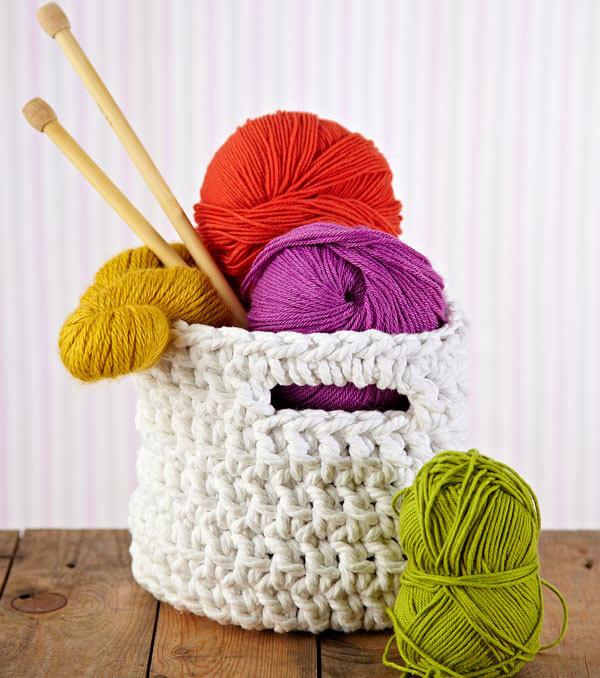 The ideal tutorial for beginners in crocheting can be found here. Yarns in two colors, a bit of skill, one simple detail and here is a beautiful basket. 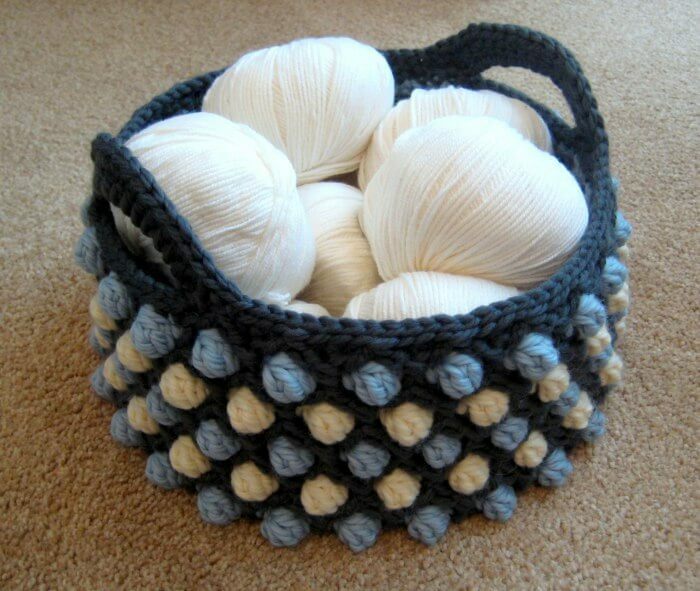 If you take care to live in harmony with nature, make this cotton, not painted basket. 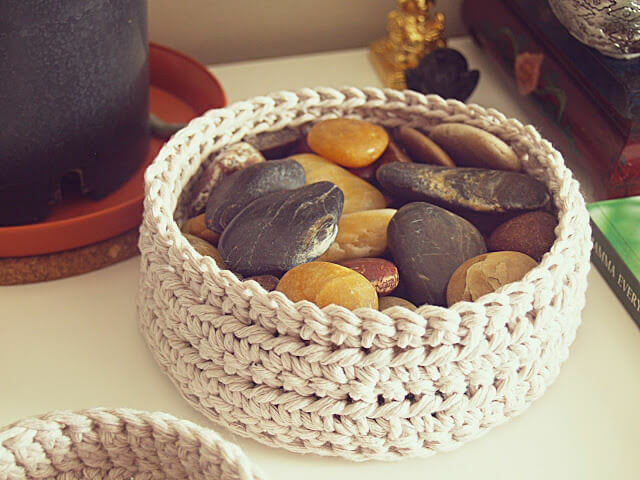 Here’s another example how a good combination of colors and simple design can be added in a beautiful crocheted product. 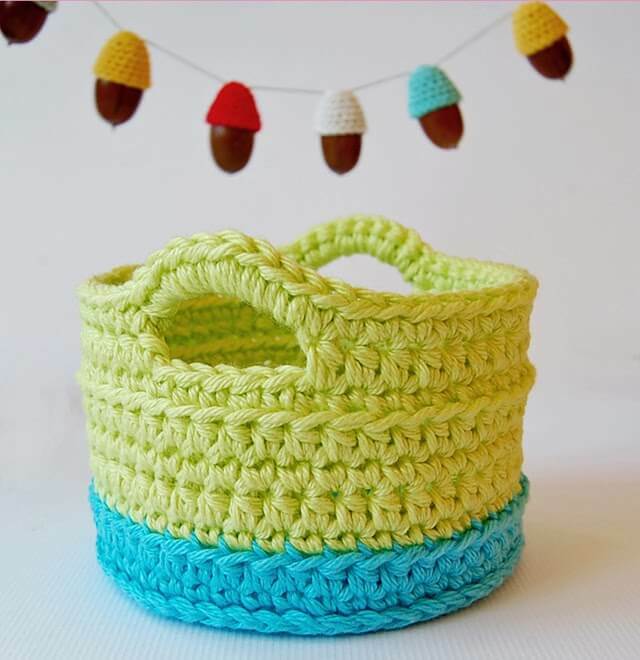 Do you like this basket? At the link above is a free pattern. 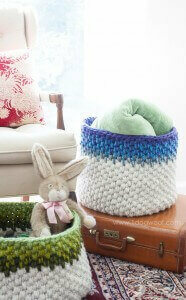 If you use bulky yarn for crocheting, the result can be a beautiful basket like this. 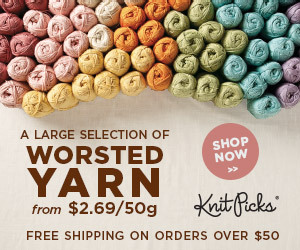 This yarn is ideal for larger baskets, which need firmness and form. There is no need to restrict your creativity to round baskets. 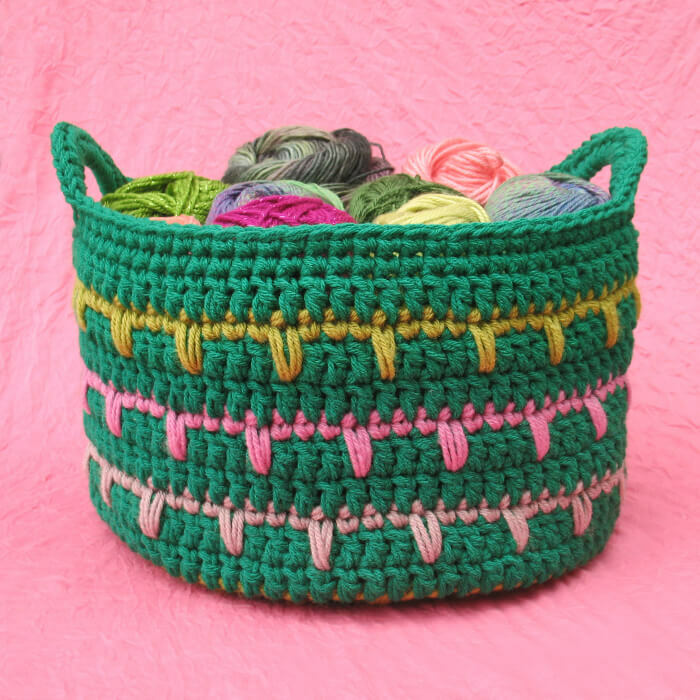 Here’s how rope and yarns can make a beautiful square basket. 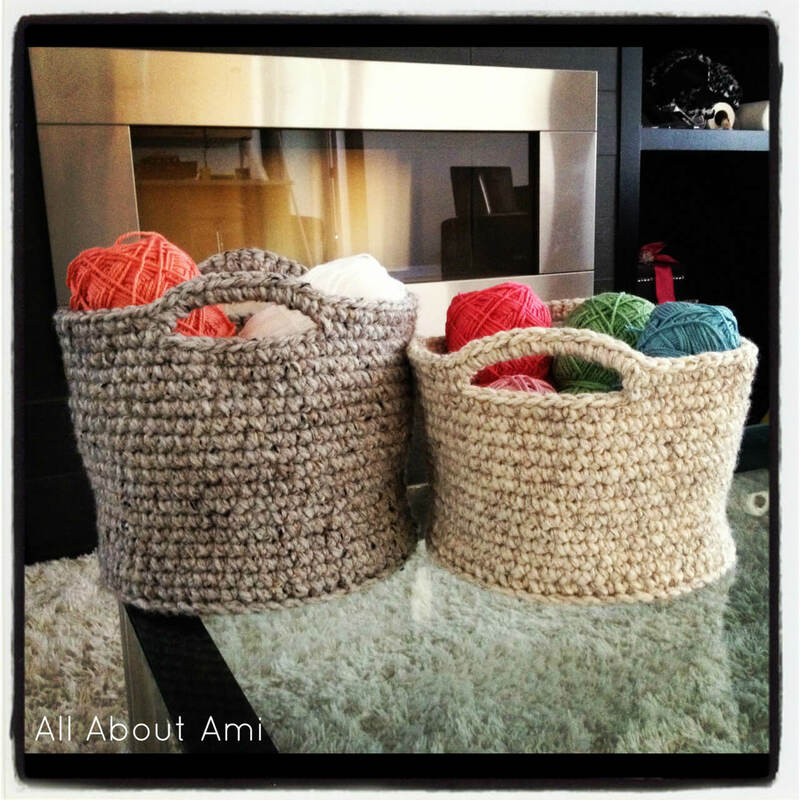 Thick yarns are ideal for crocheting of solid baskets. Here’s another example with chunky structure and beautiful color. White is simple, but that does not mean that it is less nice. 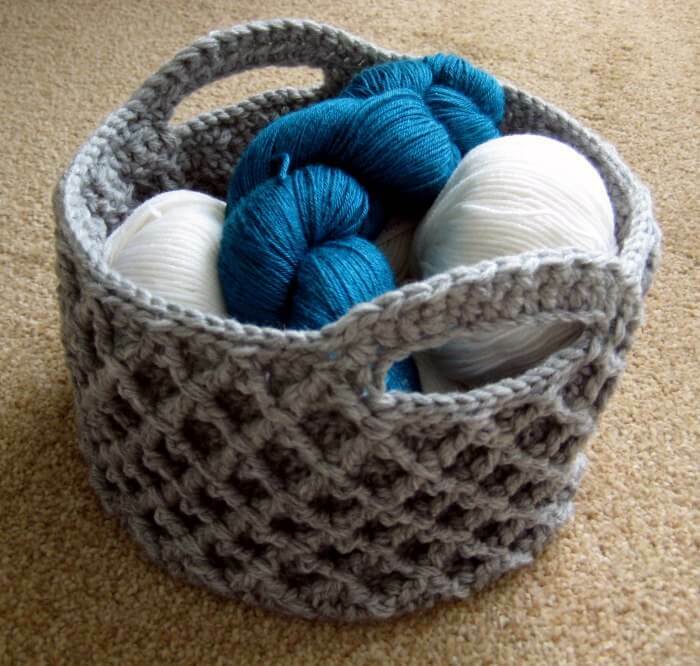 This crochet basket is a typical example, and there is a free pattern for its creation. 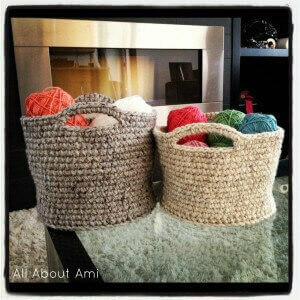 I’m a big fan of these crocheted baskets because they are original, beautiful and above all very useful. You can use them everywhere – from the children’s room to the bathroom. It’s amazing how one such detail can ennoble your home. I personally like and would love to recommend for you guys to check . unlimited access to over 600+ classes and 1 class free to keep even if you are with free trial! I would be so happy if you could send me a link to the tiny wedding flowers. I absolutely love them. I want to make a wall hanging to hang over my bed and the focal point would miniature flowers. I spent ages looking for the instructions for these but came up empty. Thanks so much. Love these! 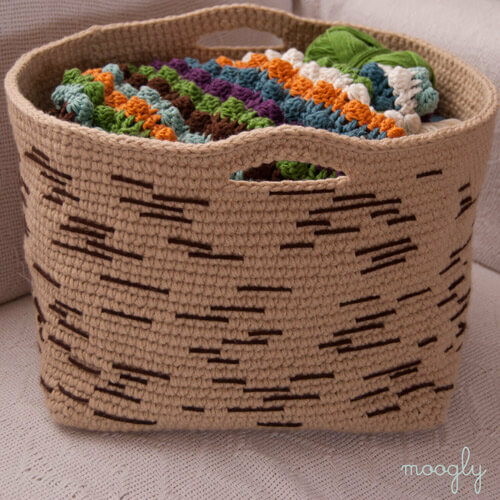 Do you have a free pattern for a belly basket? They’re usually made of seagrass but I’d like to make one. Thanks! HI Bonnie, sorry I Donot have the belly basket pattern.